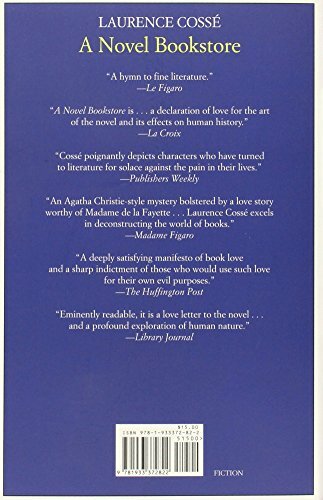 A Europa classic about love, deceit, Paris, and books! Ivan and Francesca decide to open a bookstore devoted solely to good literature and their love of books. Frustrated by the glut of mediocre books printed every month and envisioning a true literary paradise, they offer a selection of literary masterpieces chosen by a top-secret committee of like-minded literary connoisseurs. To their amazement, after only a few months, their vision proves popular. Very popular. Tucked away in a corner of Paris, the bookstore quickly becomes a haven for bibliophiles. Indeed, it becomes so successful that the great majority of Parisian readers are now buying their books only at Ivan and Francesca’s store, and other stores in the city are starting to change how they order and display books too. Now big publishing’s powerful elite are desperately trying to adapt their business model to the demand for quality above all else. As the store’s success grows, venomous comments begin circulating online and the owners, and their selection committee, become the target of vicious editorials and threats. A Novel Bookstore blends book love and bookstore love with a brilliantly conceived and entertaining mystery and is a delight for readers of all tastes.